Surround Event: Talkback after the show with Joel Goldberg, host of the "Royals Live" pre-game and postgame shows. 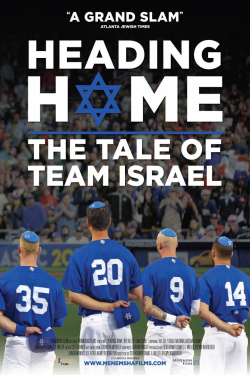 Heading Home: The Tale of Team Israel is the David-and-Goliath story of Israel's national baseball team as it competes for the first time in the World Baseball Classic. After years of crushing defeats, Israel finally ranks among the world's best in 2017. Its roster includes many Jewish-American major leaguers, most with a tenuous relationship to Judaism, barely any ever-having set foot in Israel. Their odyssey takes them from the Holy Land where they are hailed as modern-day Maccabees to the tournament in South Korea where they must debunk their reputations as has-beens and wannabes. The connection to Israel that the players forge pushes them to unexpected heights as they represent the country on the world stage.